Perhaps you dropped out of Hebrew school a little too soon or are learning Hebrew for the very first time. With just a touch of the button, this pocket sized keychain recites one of 10 blessings of your choice including the blessings over challah, wine, and washing of the hands. Also included are the prayers of "Modeh Ani" and the "Shema." The blessing is first stated in Hebrew and then translated into English, leaving you enough time after each word to repeat the blessing. It's no longer hard to remember all the different blessings there are to say before eating or drinking different kosher foods! No more fumbling for the prayer book or messy cards. to express thankfulness and gratitude. 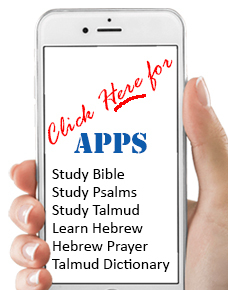 Now you can say the correct blessings in the original Hebrew wherever you are! Never fumble for or mumble a blessing again! Button 1 Al Netials Yodoyim: This blessing is recited after ritually washing the hands prior to eating bread. Button 2 Hamotzi: Over breads and rolls (ritually wash hands first). Button 3 Mezonos: Over foods from wheat, barley, rye, oat, or spelt that are not bread (i.e. cookies, pretzels, pasta). Button 4 Hagofen: Over wine or Grape Juice. Button 5 Hoaytz: Over any tree-grown fruits (apples, oranges, pears, plums, certain nuts, etc.). Button 6 Hoadomo: Over any earth-grown vegetables (tomatoes, peppers, cucumbers, lettuce, legumes, etc.). Button 7 Shehakol: Over meat, chicken, fish, cheese, and all liquids except wine or grape juice. Button 8 Brich: Short grace for children and early beginners after eating food. Not a permanent substitute for the Full Grace, which is found in Jewish prayer books. and for giving him another day, and another chance to make the world a better and holier place. Button 10 The SHEMA (Hear, O Israel..) The essence of Jewish faith, the Shema is recited three times a day: In the morning, evening, and just before going to sleep. It is customary to cover one's eyes with the right hand when reciting the shema to promote concentration. The Boruch Sheim is recited in an undertone. The remaining portions of the Shema are found in the prayer book.